Buying health insurance is a veritable necessity today. In addition to potentially having to pay a penalty on your federal tax return if you are not properly insured, you also may face huge medical expenses. In some cases, you may not be able to obtain the healthcare services that you need without insurance. As important as it is to purchase coverage, it can be difficult to locate and purchase individual health insurance plans. Before you purchase individual health insurance plans in any state, you must locate the right coverage for your needs and for your budget. If you have already started searching for health insurance plans in any state, you may have discovered that there are huge variations in deductible amounts, copayments, services covered and more. Because there are so many variations, you should be able to locate coverage that closely meets your needs. However, you must first decide which type of coverage is most well-suited for your needs. Think about how frequently you go to the doctor. In many cases, those who visit a doctor infrequently will benefit financially by purchasing coverage with a higher copayment and a lower deductible. You also need to focus on the need for special coverage, such as related to mental health services, prenatal care and more. Many healthcare plans also have prescription drug coverage, so list the medications that you take regularly before you start shopping around for Individual health insurance in Texas or other states. 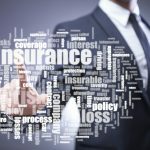 Now that you have a better idea about the type of coverage that you need, you will then need to explore all of the options available for individual health insurance plans. The Marketplace is a great resource to use if you have a lower income level and may qualify for a government discount on your premium. Otherwise, you can contact health insurance companies directly for a free insurance quote. Some people prefer to use the services of a health insurance broker when shopping for plans for Individual health insurance in Texas or other states. The broker can quickly identify the plan that may be most well-suited for your needs, and this professional’s services are usually paid for by the insurance company. One of the most challenging aspects associated with buying health insurance is comparing the options available and determining which is best for your needs and budget. First, understand how much money you can afford to spend on your monthly premium. This will help you to narrow down the options substantially. Then, screen out options that do not cover your pre-existing conditions or special needs, such as mental health needs, special medications and more. From this point, you can estimate the annual cost of services based on your typical healthcare needs. While it can be time-consuming to explore the many individual health insurance plans available, it is critical that you put forth the proper effort to find a great policy. Our agents at IHS Insurance will go through this process with you to get you the best plan for your needs and one that fits your budget. We spend time focusing on each of these steps to help you make a great decision about your coverage.